NASHVILLE (August 24, 2015) -Billboard chart-topping artist, Andy Mineo, launches his highly anticipated Uncomfortable Tour to coincide with his new album release, Uncomfortable, in stores September 18. The Uncomfortable Tour will kick off on October 1 in St. Peters, Mo. Andy Mineo has been touring coast to coast and across Europe to share his reflective lyricism and unforgettable melodies with fans. Mineo's devoted following is primed and ready for what's to come on the new tour, and with the endorsement of music heavy-hitters such as Grammy-Award winning artist, Lecrae, MTV journalist and music expert, Rob Markman and acclaimed producer !llmind, the Uncomfortable Tour is sure to break records in the box office and on stage. 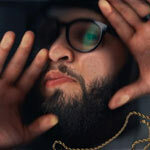 Buzzworthy rapper Andy Mineo is one of the top breakthrough hip-hop artists of the year. His successful run up to the release of Uncomfortable and tour includes a hit debut album, "Heroes For Sale," which charted at #11 on the Billboard Top 200, #4 on the Top Rap Albums chart and #2 on the Billboard Independent Albums chart, a follow-up EP, "NeverLand," which landed at #1 on iTunes, the official video for "You Can't Stop Me" which received over one million views on YouTube, and global touring in sold-out venues. The Uncomfortable Tour stops in 27 cities.